John R Byerly Inc. | John R. Byerly, Inc.
Good planning is the result of significant effort. It does not end with the approval of the plans and specifications for a project. When a project is in the construction phase, John R. Byerly, Inc. provides the testing and inspection that ensures that the contractor meets the specifications. 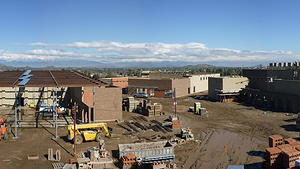 ​When a builder is frustrated by the terrain, the challenge is to discover the cause and to right it. ​John R. Byerly, Inc. has the means and the expertise to evaluate problems and to propose viable solutions. Planning a project is a process of discovery. Good planning means being able to adapt to conditions you face and developing strategies for over-coming situations before they become problems. ​​John R. Byerly, Inc. is an established expert in determining the geotechnical feasibility of a project and providing the design related investigations necessary for good planning. John R. Byerly, Inc. was organized in 1977 as the successor to Pacific Materials Laboratory, Inc., whose service to the construction industry extends back to 1955. 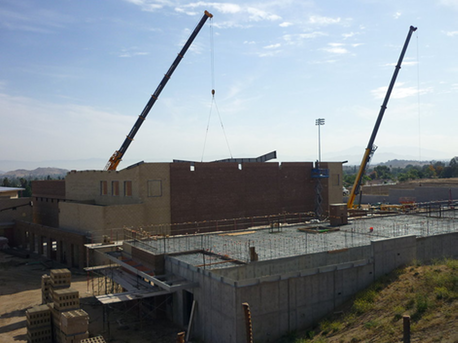 Since that time, John R. Byerly, Inc. has provided the construction industry of Southern California with professional geotechnical engineering, construction materials testing, and special inspection services.